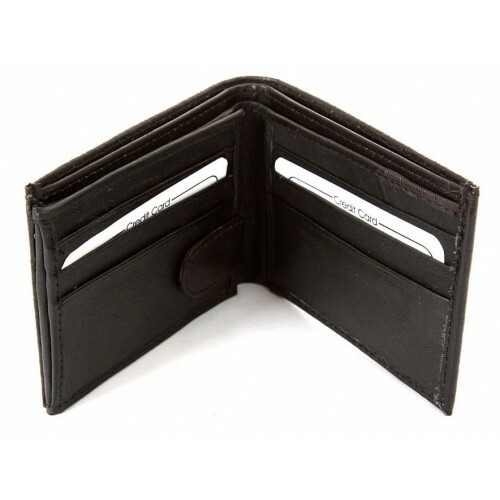 This bi-fold wallet is inexpensive and yet fashionable. 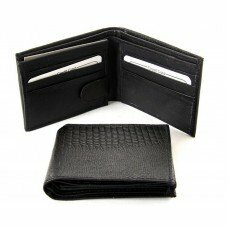 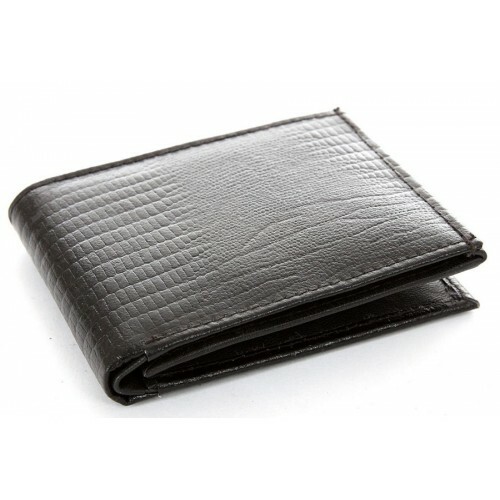 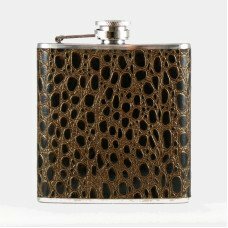 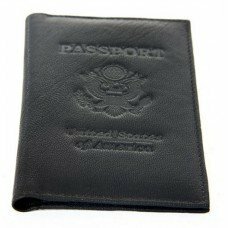 The black dyed leather is machine pressed with a lizard skin pattern offering the look and feel of an expensive wallet at a fraction of the cost. 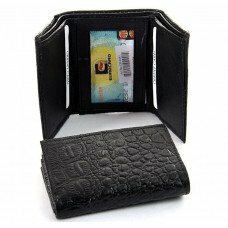 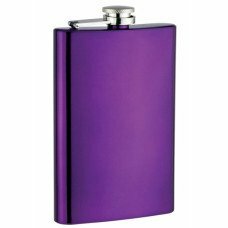 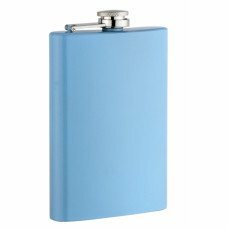 Offering 6 card slots, 1 ID Window that is covered by an inner flap with a snap, and measures 4 ¼” x 3 ¼“. 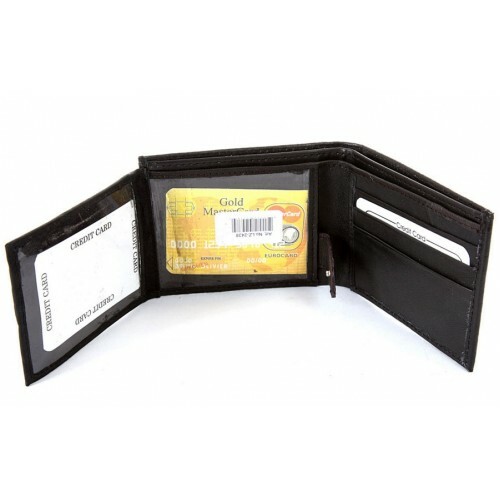 All wallets are brand new and made from genuine cow leather. 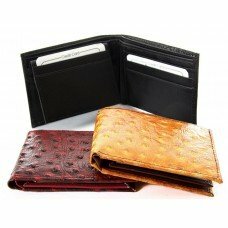 Due to the nature of leather it may have a distressed look.